Chad still doesn't trust Andre but pretends to be on his side. 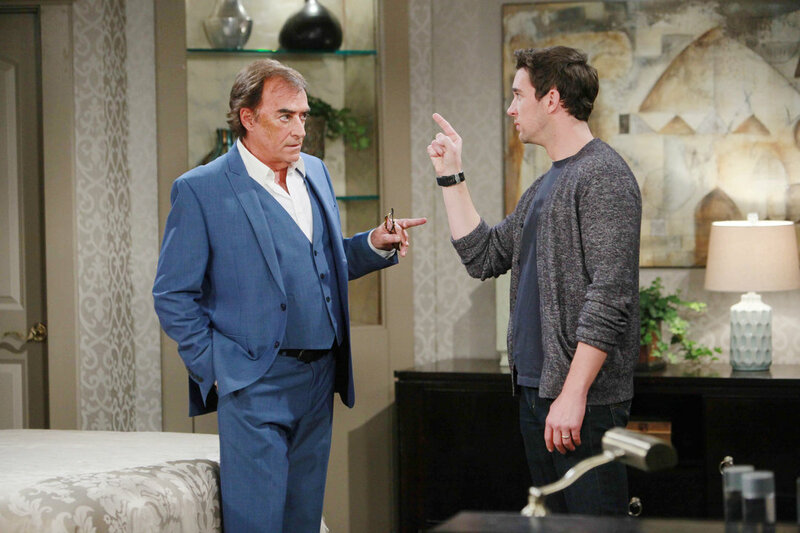 Check out the day-to-day spoilers and a sneak peek video below to find out what's happening on NBC soap opera Days of our Lives during the week of July 4-8, 2016. Hope and Aiden are headed towards making love, but the memories are too much for her; JJ confronts Chad about Abigail. Kate worries that Deimos will seek vengeance on her; Chad has a conversation with "Stefano" who tells him Abigail may not be what’s best for Thomas; Andre reads an article about a downed private plane, this strikes up an idea. Theresa begins designing her wedding gown; Summer sits on a plane leaving Salem, and a baby's cries are heard nearby.